One delicious gothsu my Amma makes to go with the dosa dough which is fresh. In fact you can make dosa with that dough as soon as you grind by adding some sour yogurt. It is also made when people fast for ekadasi. I love this gothsu and it brings me fond memories. Today I made them to go with the yeast free dosai. It is a great compliment to the soft dosai. 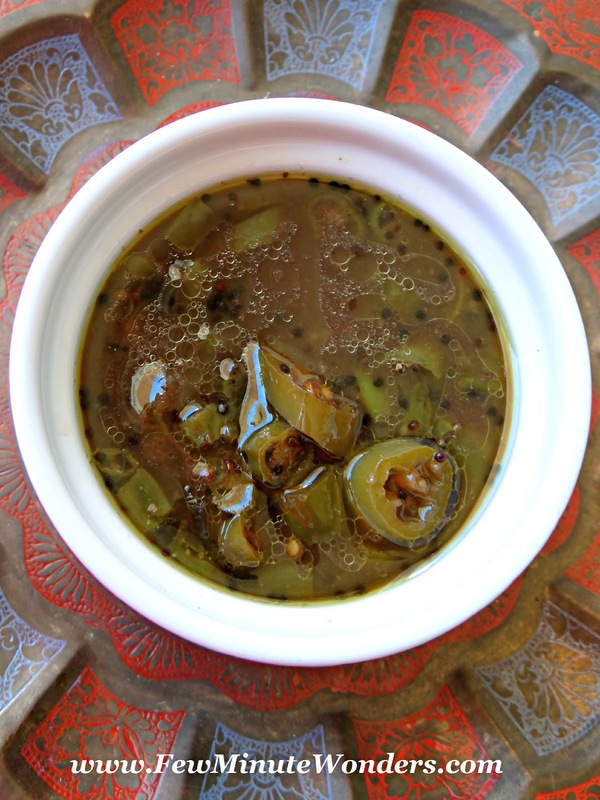 Note: The kind of green chilli's that is used depends on the kind of spice you can handle. At the store you can find big chilli's that are not spicy and tiny ones that have all the spice. I recommend that you choose that one that best suits you. 1. Soak the tamarind in 2 cups hot water to make tamarind water. 2. Place the vessel/kadai on the stove and add oil after it heats up. Then add asifotita, mustard seeds. Wait for it to splatter and then add udad dhal and allow it to turn light brown. 3. Add the chopped green chilli's and salt and cook it for 2 minutes. 4. Add the tamarind water to this and allow it to boil and cook for 6 minutes. Then add sugar. 5. The end result will be a slightly watery consistency gothsu that you can serve with dosa. TIP: Add a little curd or yogurt to the fresh dough to make the dosa. The result will be a soft dosa not a crispy one. That is the kind of dosa you want to have for the Gothsu.